Thank you for your continuous support for our flagship devices. 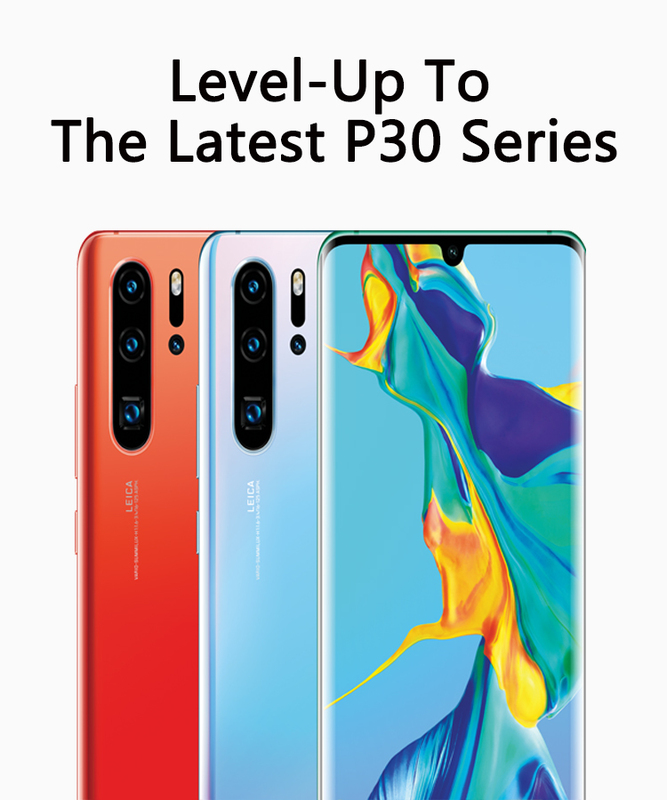 Sincerely from Huawei, you will have a great deal for your current Huawei Smartphone when you trade-in for the latest HUAWEI P30 series. Simply proceed to your nearest Huawei Experience Store and Level-Up now! 1. This Trade In Program is organized by Ingram Micro Malaysia Sdn Bhd (“Ingram”). 2. The trade in value of your device is determined by Ingram in its sole discretion and may vary depending on its conditions and diagnostic result. For further details, you may walk in and enquire at our participate Huawei Brand stores. 3. You may trade in only one (1) device under this Trade-In Program for each new HUAWEI P30 or HUAWEI P30 Pro. 4. Your trade in device must be labeled with MCMC label to show that it is certified for use in Malaysia.